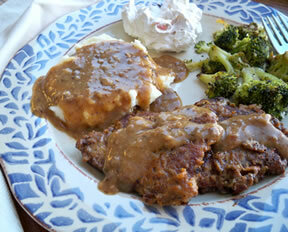 A great recipe for using round steak. 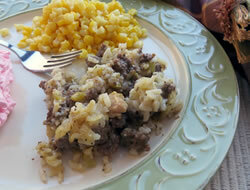 Baked in the hotdish, the round steak is more tender and provides nice flavor to this dish. Preheat oven to 325° F. Grease bottom and sides of a large baking dish. Dice onion and chop celery into small pieces. 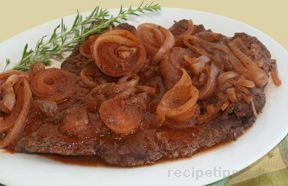 Cube and brown steak with onion and celery in a small amount of fat. Combine rest of ingredients and mix in with the meat, onion and celery. Pour all into the greased baking dish. Place in the preheated oven and bake 2 hours. 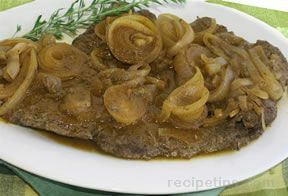 "If you are looking for ways to use up your round steak or tenderized steaks this recipe is a good one for that. It is easy to make and has lots of flavor."